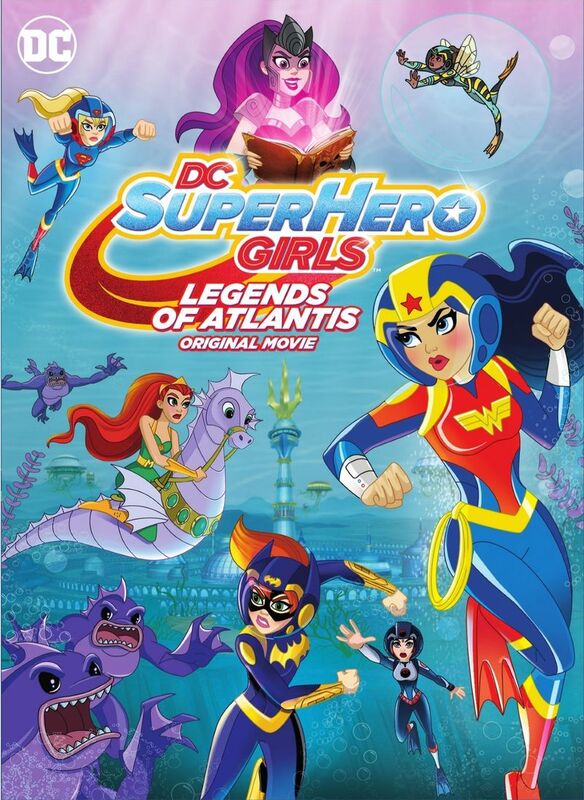 DC Super Hero Girls: Legends of Atlantis DVD release date was set for October 2, 2018 and available on Digital HD from Amazon Video and iTunes on October 2, 2018. The Trident of Atlantis is a powerful artifact. Its location is a mystery, except for those who obtain the Book of Legends. The trident and book combined make it possible for someone to create an army and rule the ocean. Mira and Siren set out to do just that. It's up to The Super Hero Girls to stop them. But, there's a snag - thanks to an accident, the girls' powers have all been switched. They have to relearn their abilities and stop Siren before it's too late.